We just love the footy. And it’s all LIVE and FREE on Seven. The Toyota AFL Finals Series, the Toyota AFL Grand Final exclusively, the Brownlow Medal, the inaugural AFLW season and the AFLW Grand Final, VFL, SANFL, WAFL, the EJ Whitten Legends game and of course Toyota AFL Premiership Season on Thursday Night, Friday Night, Saturday Afternoon, Saturday Night and Sunday Afternoon Football are all on Seven in 2017. The much-loved Front Bar, Game Day and Talking Footy also return. Australia's favourite callers Bruce McAvaney, Brian Taylor, Hamish McLachlan, Basil Zempilas and Jason Bennett are back with experts including Leigh Matthews, Tim Watson, Cameron Ling, Wayne Carey, Luke Darcy, and Matthew Richardson and more. Together they are the biggest names in football – and they'll all be at the home of football, Channel Seven. Don’t miss a minute of the footy this year with Australia’s dedicated, 24/7 AFL channel, FOX FOOTY. See your team LIVE, every round of the 2016 Toyota AFL Premiership Season, with no ad breaks, siren to siren. FOX FOOTY’s unrivalled commentary team includes the biggest names in the business including Eddie McGuire, Sandy Roberts, Jason Dunstall, Jonathan Brown, Dermott Brereton, Alastair Lynch, David King, Mark Thompson, Gerard Healy, Mark Ricciuto and more. Tune into FOX FOOTY's expert team for breaking news, unique analysis, discussions on the big issues, interviews with players and coaches, and an inside look at your club. FOX FOOTY has exclusive coverage of all 27 matches of the 2016 NAB Challenge LIVE in HD; NAB AFL Under 18 Championships and key AFL events throughout the season. FOX FOOTY is available to all Foxtel Sport Pack Subscribers. Foxtel is Australia’s leading subscription television provider, delivering a better entertainment experience to over 2.3 million subscribing homes. FOX FOOTY, only on Foxtel. Catch all the action of the 2018 Toyota AFL Premiership Season, with live video, full match replays, live player positions and radio, weekly team announcements, live stats and scores, AFL news and access to the official AFL TV channel. Download the AFL Live Official App. Telstra mobile customers can access AFL Live Pass included in your plan. . Subscription fees apply for non-telstra mobile customers to access live video, full match replays and AFLTV. Data charges may apply when downloading the application. Full match replays of all 2018 Toyota AFL Premiership Season matches are available any time on your TTV through the AFL App, connected IPTV or online throughout the year. If you missed a game, view it online at a time that suits you. Watch the entire match or skip through to your favourite highlight. NewsCorp Australia is Australia's biggest media company and the newspaper partner of the AFL. NewsCorp Australia's key papers include the Herald Sun in Victoria, Daily Telegraph in New South Wales, Courier Mail in Queensland, Adelaide Advertiser in South Australia, Hobart Mercury in Tasmania, Sunday Times in Western Australia, NT News in Darwin and The Australian nationally. NewsCorp Australia's commitment also extends into the growing AFL markets of regional Queensland where the Gold Coast Bulletin, Cairns Post and Townsville Bulletin play a vital role in assisting to develop the game. The Daily Telegraph and NewsLocal community newspaper group is also promoting the game in western Sydney, as is the Geelong Advertiser in the western part of Victoria. The company's reporting strength is demonstrated by the fact that is has 60 reporters and 20 photographers dedicated to covering our great game including award winning journalists Mark Robinson, Jon Ralph, Michaelangelo Rucci and Robert Craddock. NewsCorp Australia also owns AFL broadcaster Fox Sports and is a 50 per cent owner of Foxtel. In 2016, Triple M Football celebrates its 20th anniversary as the favourite destination for all true footy fans. Triple M Football is Australia’s most entertaining, informative and progressive live coverage of our greatest sport and is heard nationwide every weekend across the Southern Cross Austereo network and its affiliates. Plus, every weekday morning, you can stay on top of all the footy stories that matter with Eddie, Mick and Darce on the Hot Breakfast in Melbourne and Roo and Ditts in Adelaide and then, the Rush Hour on your drive home. For the 20th successive season, on air and online, Triple M Rocks Football. 3AW enters 2016 as Melbourne’s no.1 football team, and it’s not hard to understand why. Names like Leigh Matthews, Matthew Lloyd, Matthew Richardson and Cameron Ling headline the station’s all-star line up. 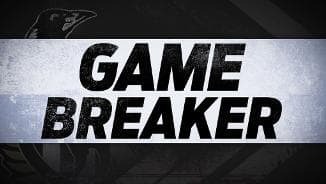 Not only do you hear the best callers in the game like Tim Lane (recently voted radio’s Best Sports Presenter by his peers), Tony Leonard and Dwayne Russell, but you can also hear from the town’s big newsbreakers – Caroline Wilson, Mick Warner and Sam McClure. Just as important are our listeners, who tell us what the fans are thinking and often set the agenda themselves. Put these ingredients together and you can see why 3AW is – and always will be – football. ABC Grandstand’s AFL coverage reaches all parts of the country and beyond, through ABC Local Radio, ABC Grandstand on digital radio, ABC NewsRadio and into the Asia Pacific on Radio Australia. With a team of outstanding broadcasters from every state and territory, ABC Grandstand brings you unparallel coverage of the game from right across the country. And with champions of the game such as David Parkin, Mark Maclure, Stan Alves, Brenton Sanderson, Brad Sewell, Shannon Grant, Nathan Burke, Adam Ramanauskas, Scott West, Rod Jameson, Paul Hasleby and Tadhg Kennelly and a host of current day players behind the microphone each weekend, ABC Grandstand brings you expert opinions and analysis from the best in the business. With coverage of over 190 games across the season and complimented by ABC Grandstand‘s broad range of award winning AFL programs - including “The Saturday Agenda” hosted by Gerard Whateley and “Sunday AFL” with Adam White – you will get unrivalled analysis of the 2016 AFL season both on and off the field with ABC Grandstand AFL. ABC Grandstand, footy coverage like no other. Born in January 2004, 1116 SEN is Australia's only 24/7 all sport radio station. Boasting broadcasters, news breakers, former champion sportsmen and coaches the ilk of Anthony Hudson, Kevin Bartlett, Tim Watson, Dermott Brereton, Mick Malthouse, Andrew Maher, Mark Robinson, David Schwarz, Cameron Mooney, David King, Scott Lucas, Terry Wallace, Daniel Harford, Patrick Smith, Greg Denham, Jon Ralph, Rohan Connolly, Nick Maxwell, Andrew Gaze and Mark Allen - the station is rightfully considered to be "Melbourne's Home of Sport". Since 2007, 1116 SEN has called more AFL matches than any other radio station and with rights to more than 150 games in 2016 - combined with specialty shows Crunch Time, The Coaches Box, Footy Fix, Finey’s Final Siren, Inside Football, Pure Footy, The Prime Movers and League Teams - 1116 SEN will again be the one-stop destination for all footy lovers. 1116 SEN is Melbourne's Home of Footy. 6PR is Perth's number one commercial AFL radio station, broadcasting well over 100 games in season 2016 with every West Coast Eagles and Fremantle Dockers match live. Our team of broadcasters features Karl Langdon, Brad Hardie, Peter Bell, Adam Papalia, Mark Readings, Shane McInnes & Drew Morphett. We're also Perth's only 24 hour live and local station – so when you listen to 882 6PR, you don't miss a thing! The game happens on FIVEaa. AFL Nation is Crocmedia's customised football radio call, syndicated across regional Australia. The AFL Nation commentary team provides the perfect balance, with expertise and charisma combined with a strong regional affiliation. Sandy Roberts and Peter Donegan head the play-by-play commentators, while Robert Walls, Terry Wallace, Billy Brownless, Liam Pickering, Chris Connolly, Adam Cooney and Kane Cornes provide outstanding match analysis. AFL Nation is the exact mix of information and entertainment, which truly captivates the footy lover. There is traditional style football calling, as well as contemporary calling. There are both serious and light-hearted opinions. And there's fun! The AFL Nation team takes Australia's biggest sport into country pubs, sheds, cars, homes, sleepy towns and vibrant regional cities. For more than 84 years, K-ROCK (3GL) has broadcast the AFL/VFL throughout Geelong, Werribee and the Surf Coast, covering every Geelong Cats match, plus two further games each week; arguably the longest continuous sporting coverage of its kind in the world! In 2016, K-ROCK Football will cover the new NAB Challenge, all 22 Geelong Cats home and away games, 44 other Toyota AFL Premiership Season games and seven Toyota AFL Finals Series games, culminating with the Toyota AFL Grand Final. 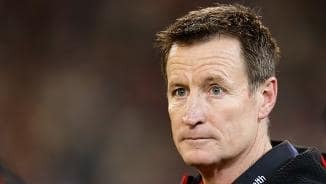 Our call team comprises of commentators Tom ‘Kingy’ King, Ian ‘Coza’ Cohen, Anthony Mithen and Daren Berry along with special comments from former Cats champion Tim McGrath , Cats VFL Premiership Captain Troy Selwood and former player, senior coach and Essendon head of player development Mark Neeld. 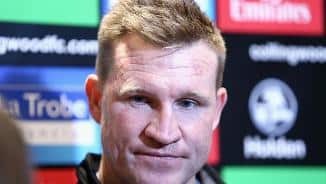 In addition, regulars including former stars Paul Chapman and Leigh Brown, plus inside Footy’s Ben Casanelia, the Herald Sun’s Scott Gullan and statistician Heath Buck complete our coverage. 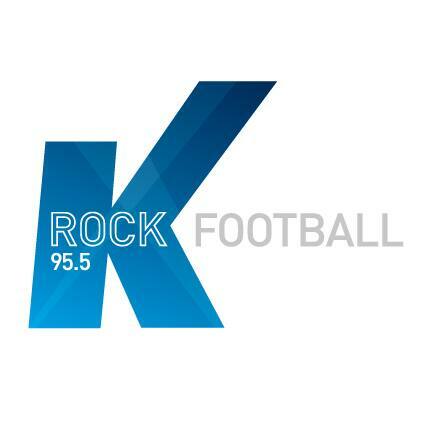 While our traditional frequency of FM 95.5 can be heard in and around Geelong, fans of K Rock Football can also follow games at Etihad Stadium and the MCG on FM 88.0. The National Indigenous Radio Service (NIRS) will enter its 20th year of AFL coverage in 2016. A minimum of three matches are covered each round along with all finals and broadcast via a vast network of some 200 plus stations right across the country, including regional Queensland, Northern Territory, Western Australia, South Australia, Victoria and New South Wales. Metropolitan coverage is also possible via Brisbane, Darwin, Perth and Sydney. All games covered are all streamed live online and on mobile devices via afl.com.au. The NIRS AFL Broadcast is supported by the AFL, Indigenous Business Australia (IBA), Virgin Australia and Telstra.